Thoughtful, inventive and fun. 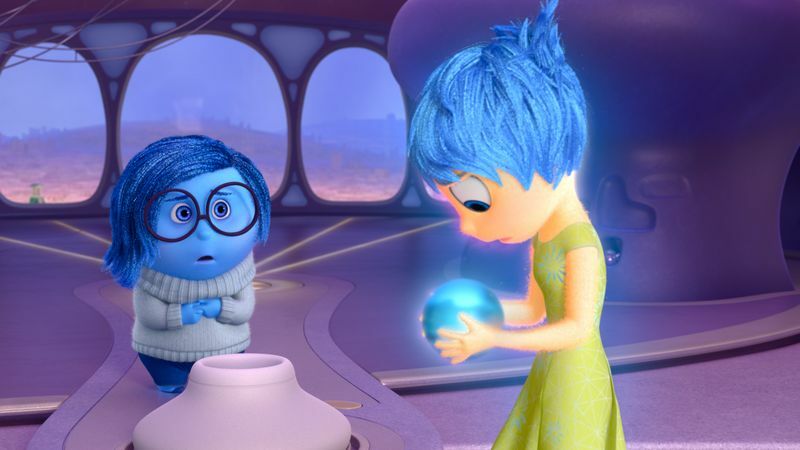 Inside Out is one of the best movies of the year and definitely up there with the Pixar greats. My own personal grudges include, some of the plot worked out a little too happy ending for me and some of the animation during the end scenes bugged me. I also thought the character of Disgust was not utilized quite enough as a lead character. I could never work out her importance to the level I did for the rest of the cast. Also I was not really a fan of Bing Bongs voice. Those points aside the script works for both children and adults. Children appreciating a realisation of emotions, humour and action scenes. The adults appreciating the re-visiting of their growth and how in-depth Riley's reactions are to the emotions themselves. If nothing else, the film deserves a writing award.